"Michael has changed record labels after 30+ years and changed producers as well. This is his first studio worship album (special edition has a bonus live concert DVD as well). I was hoping for a more pop sound but instead - with help from Leeland Mooring (son-in-law and lead singer of Leeland) and Kari Jobe (who shares the producer with Michael) - I was blown away by the context of the songs and the honesty and sincerity of Michael's vocals. I was pleasantly - delightedly - surprised to find an enormous draw to wanting to listen to it more and more." 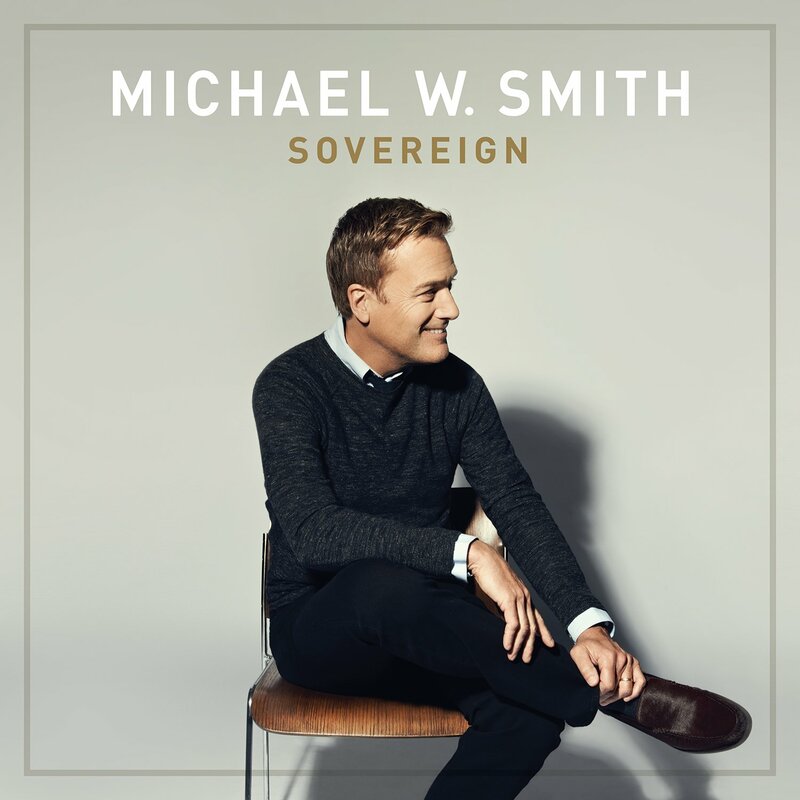 For more information on "Sovereign" by Michael W. Smith, visit our website here. "I love learning the story behind the story. Whether its a famous writer, musician or business person - what has happened in their life so far? Rock'n'roll biographies are particularly interesting. Scott's story seems authentic, honest, real and raw. The stuff he has gone through, the good times and bad - so fascinating and compelling. And all the while making incredible music that has affected the pop scene profoundly. I like these words from the last chapter: "I've come to see sin as separation from God. In that respect, I've been a life long sinner, as evidenced by the countless times I've separated myself from Him. Those were acts of willfulness. I call this book Sinner's Creed because I realize that my life as a Christian has always been - and will always be - challenged by these periods of separation." 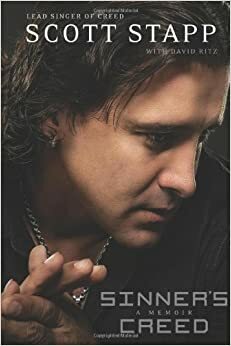 Also included in this book are the lyrics from the songs that he has written. I recommend this book as a very worthwhile read." For more information on Sinner's Creed visit our website here. Maviah is a woman living in 30 A.D., and as if that alone is not shame enough, she is the illegitimate child of a renowned Bedouin sheikh, Rami bin Malik, cast aside by his pride and born into slavery herself. To make matters worse, during her exile in Egypt she became the defiled mother to a son. Maviah is the lowest of the low. Defiled. Dirty. Unholy. Slave. If not because of her gender then because of the course of her life and the choices of those around her, not to mention her own. And when she thinks things couldn't possibly get worse for her, her father's kingdom is attacked, her infant son is killed, and she is sent on a perilous errand across the Nafud desert to deliver a ceremonial dagger to the lustful, unpredictable Herod. This dagger is meant to be her people's saving grace and means of deliverance. So in the company of her father's most loyal and trusted servant, Saba, and an odd-mannered Bedu Jew called Judah, she must fulfill this duty. What else could she possibly have to live for? Dekker brings history and fiction together in a kind of refreshing, intertwining plot of raw emotion and gripping adventure. He offers striking insight into the way women were perceived and treated during the time period, and the emotional struggles that might result from their way of life. Perhaps even more striking is his take on the encounter this particular woman has with Jesus Christ himself - Yeshua, the mystic, stirring uproar and rebellion amongst the Jewish people while teaching love to anyone who would listen. It is an encounter with Yeshua that changes the entire course of Maviah's story; the entire course of her life. And she is only one of many forgotten people who may have touched lives with Jesus in person before the date of his crucifixion. Dekker explores the effect that this may have had on the course of history, never failing to electrify the heart with the prospect of what may have been. His depiction of Yeshua is very real, very alive, and breathtakingly true. For more information on A.D. 30 by Ted Dekker, visit our website here. "An album that I wished was going to be a rock release and it turned into a worship project, which bugged me...at first. The pre-release CD arrived and I reluctantly listened, waiting to be disappointed, but of course God shone through. This is the CD that they were supposed to make. Great songs, passionate lyrics, and it got my attention. Never judge a band by their previous efforts. A surprising favorite of mine." 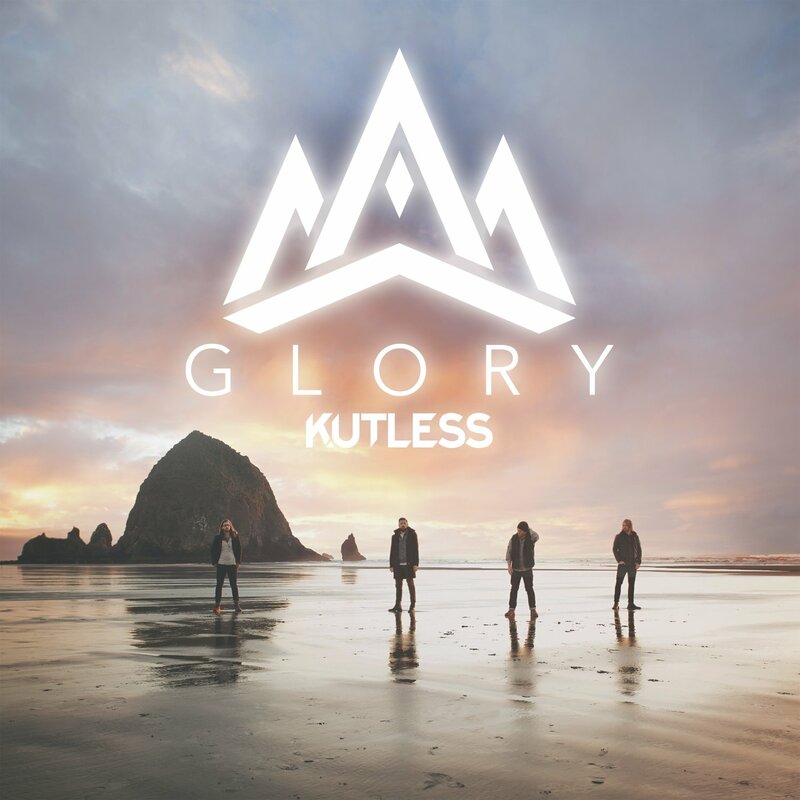 For more information on "Glory", visit our website here. "One of the best fiction books I've read this year. I highly recommend Drawing Fire by Janice Cantore." "With a possible serial killer stalking elderly women in Long Beach, California, homicide detective Abby Hart's best lead is Luke Murphy, an irritating private investigator who saw a suspect flee the scene of the latest homicide. When Abby discovers that the most recent victim is related to the governor, she's anxious to talk to him about a cold case that's personal to her - one Luke is interested in as well. As she learns more about the restaurant fire that took her parents' lives years ago, Abby discovers why Luke is so invested in finding the ones responsible. But the more they uncover, the more questions they have. Can Abby find peace without having all the answers?" This is a book for the mystery lovers; the detectives and the sleuths; the crime-fighters and the Crime TV Watchers. Take the time for suspense and intrigue, politics and ethics, murder, madness, and haunting backstories lurking in the dark. With multiple mysteries intertwining through the pages, it is nigh impossible to avoid the vast number of twists and turns that Cantore applies to her writing. Her background in law enforcement offers an insight to reality that many crime series seem to lack, and the emotional growth and representation of her characters only adds to that realism. 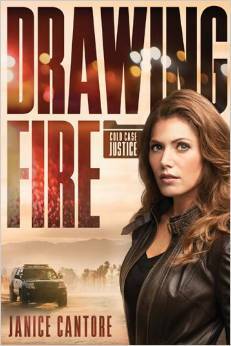 With so many questions on so many pages, Drawing Fire is truly a riveting read. For more information on Drawing Fire by Janice Cantore, visit our website here. There are always those moments where escape would be preferable if it meant literally vanishing from this world and entering a life of importance somewhere else - a world not quite like this one. Maybe not at all like this one. A place where you have a clear and defined role that only you can play; where everyone knows it and will either try to help you or try to hinder you. 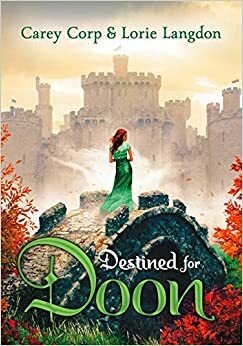 Carie Corp and Lorie Langdon take this desire to heart and put it onto the page with a cast of characters ranging from relatable to stereotyped to outlandish to desirable, and back again, all jumping in between present-day reality and the fictional realm of Doon. Two authors, two main characters: Verronica and Mackenna, setting out to explore the land of Scotland when they tumble upon the Brig O' Doon and the fantastic kingdom that lies beyond. They spiral into a web of adventure, danger, and romance that spins the kingdom of Doon to life. For Verronica, Doon is a kind of escape from a life that has left her wanting much. And for Mackenna it is more of a waking nightmare, and a very strange inconvenience. Two best friends, close enough to be sisters, find themselves falling into a story of royalty, world-hopping, spying, and most certainly true love. And while love is a definite focus in the story, it is only one of many, including danger and mystery, action and adventure, a couple of princes, a few disgruntled brigands, and a haunting, deeply intriguing witch-hunt. 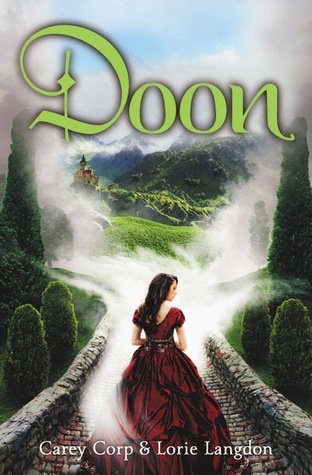 Doon and its subsequent sequals, including Destined for Doon, Shades of Doon (release date September 2015), and a fourth addition expected September of 2016, are the perfect escape from reality. Written for teenage girls, they are certainly a light and fluffy read, but would appeal to anyone looking for a lighthearted escape from the day-to-day; a chance to relax and ponder something out of the ordinary; a little bit of romance as far-fetched and beautiful as it is and some vicarious travel to Scotland and its lush scenery and historic appeal. Scottish accents abound. For more information on Doon by Cary Corp and Lorie Langdon, visit our website here.